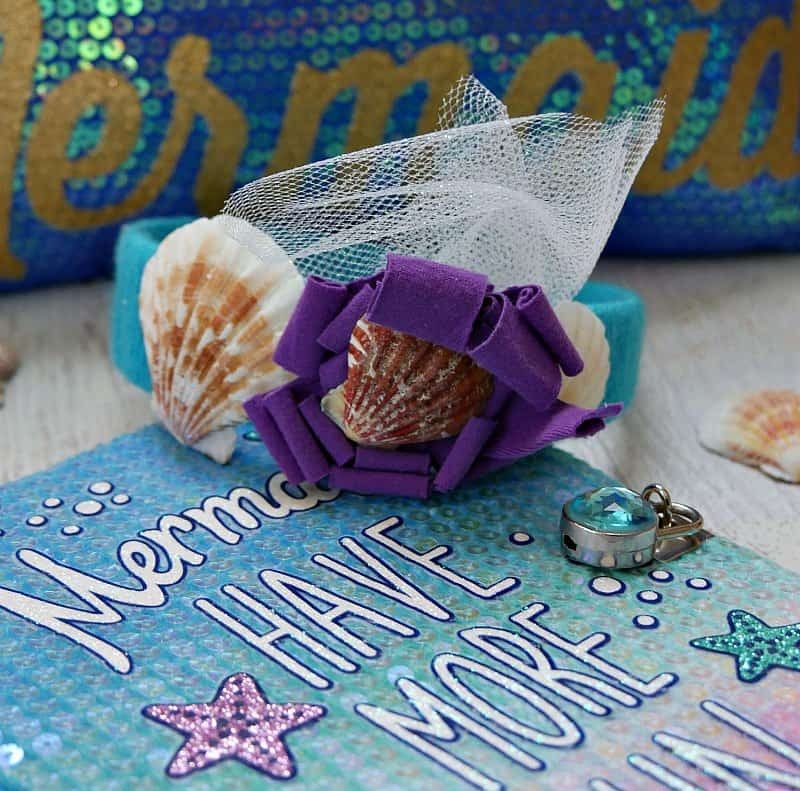 Have a mermaid lover in your home? My almost 11 year old daughter has been obsessed with mermaids since she first discovered them when she was a toddler. 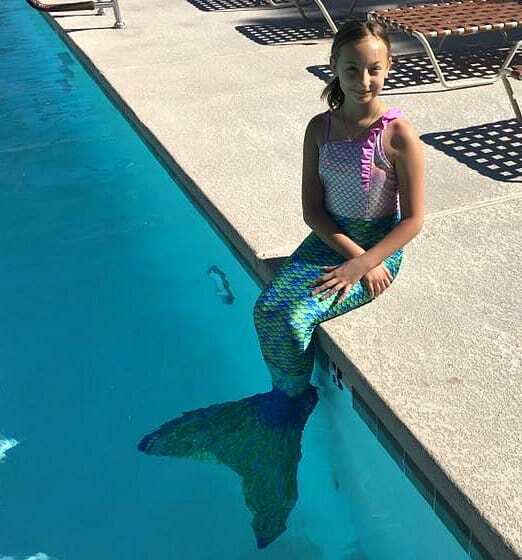 When we're at the pool all summer long, she can actually be a mermaid with her mermaid tail. But sometimes you just want to be a mermaid with legs. You know, kinda like Ariel? 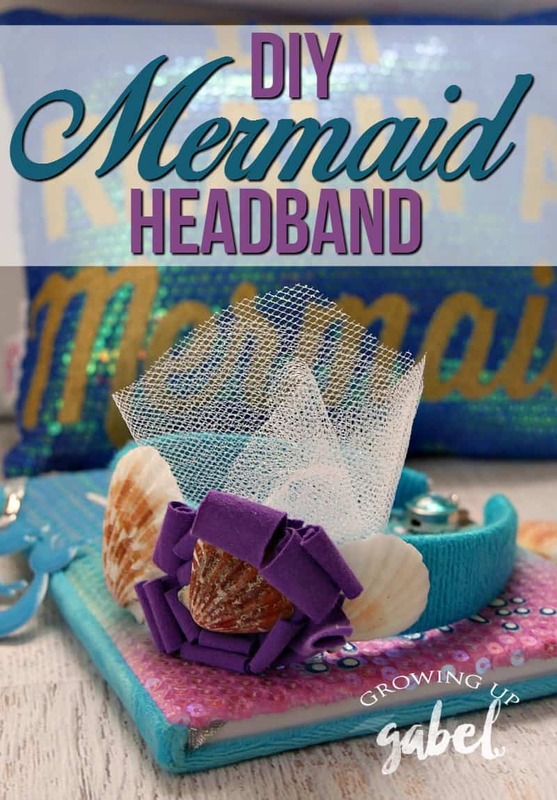 So we put together a very easy tutorial for making a mermaid headband. 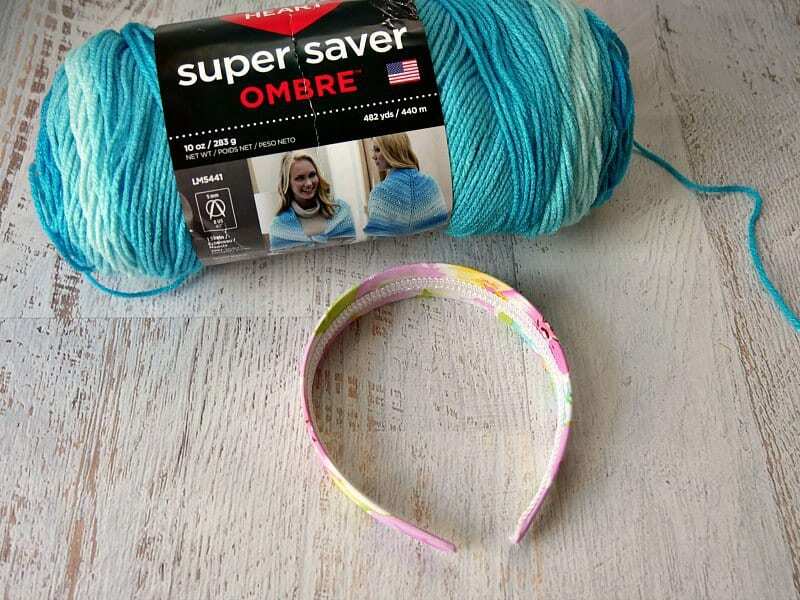 Start with a headband and Red Heart Ombre Yarn in the color Scuba. The minute I saw the color of this yarn from Red Heart it's name, I knew it was meant to be made into something mermaid themed. The ombre is so pretty! 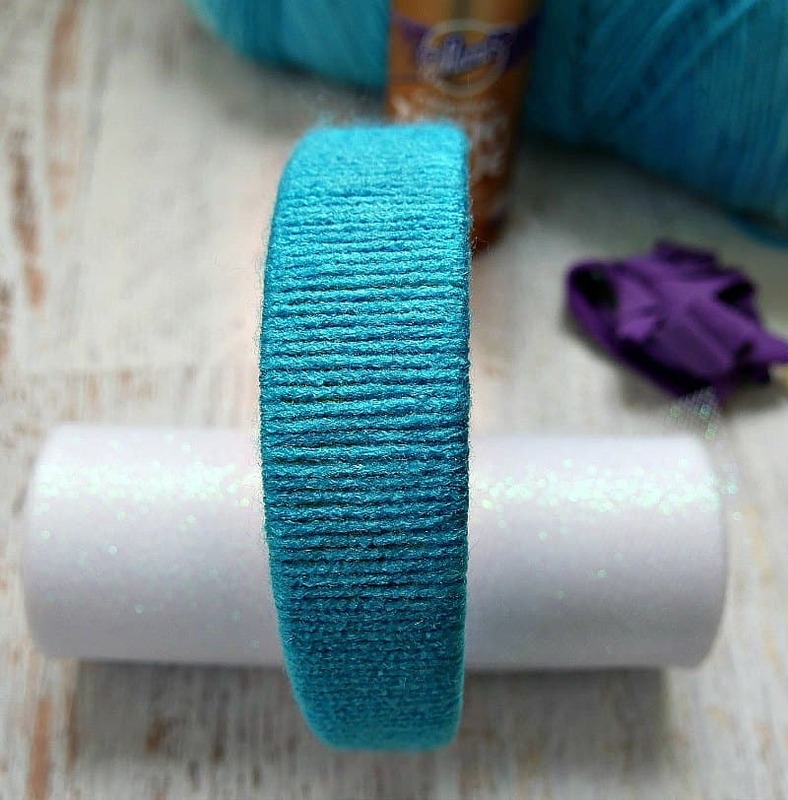 The yarn also comes in Deep Teal, which would also work well for a mermaid headband. You will also need a headband. The thicker the headband, the better. We also found that cloth covered headbands allowed the yarn to “stick” to the band without much glue. This one is from the dollar store but you can also use one you have lying around at home. Begin winding the yarn around the headband just about the very tip of one end. 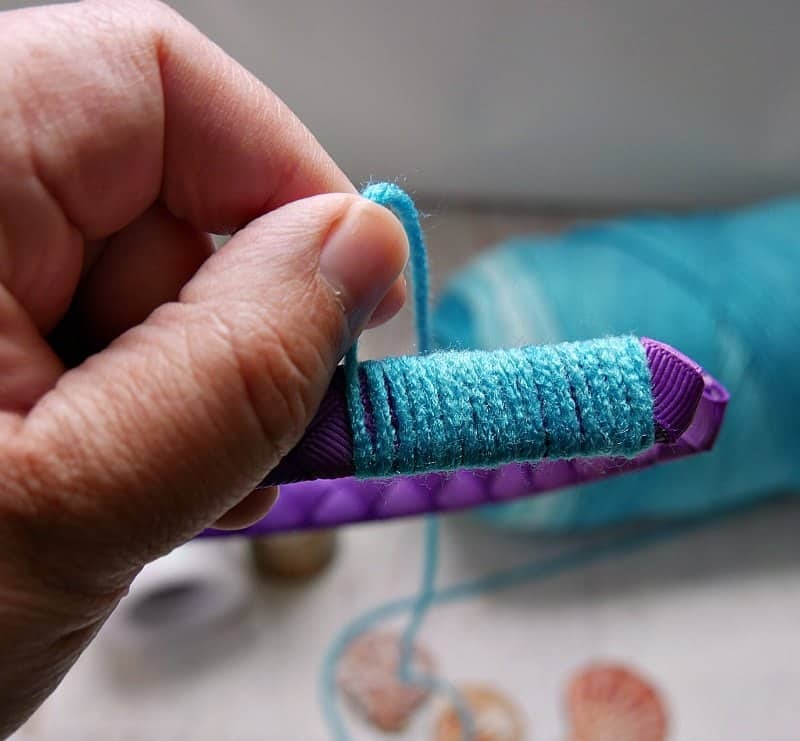 Kind of just tuck the yarn in and wrap over it and you wont' need any glue. Continue to wrap the warn around, laying the strands right next to each other, but not on top of each other. Put them as close as you can. You may need to push the yarn to keep it close. When you get near the other end of the headband, about 5-6 wraps left, put a dab of glue on the headband and wrap the yarn over it. 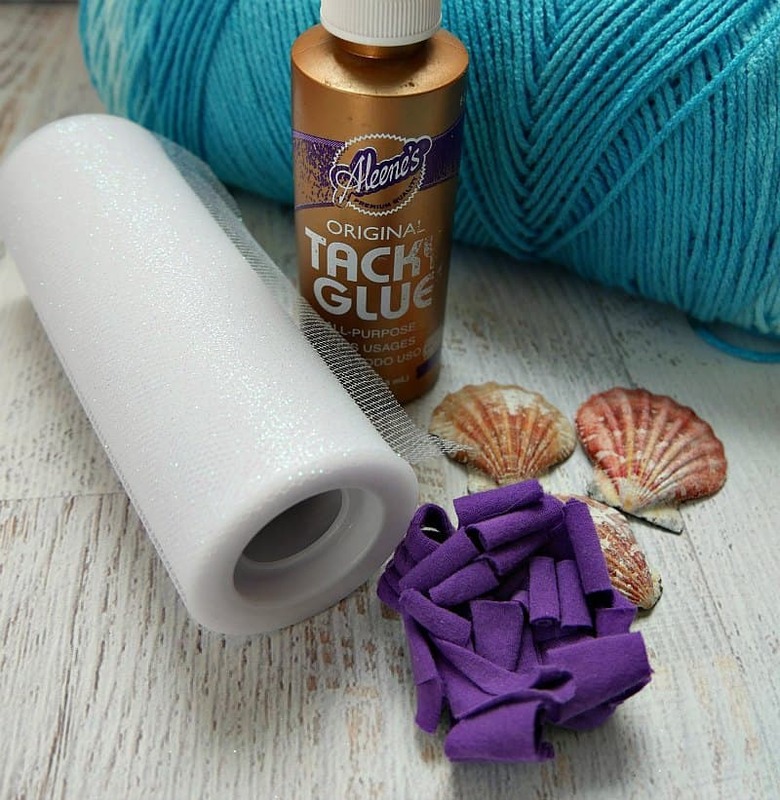 You can use Alene's tacky glue or hot glue. Alene's will need to dry but the hot glue sets immediately. The headband is gorgeous with just the yarn. But of course mermaids need a little bling. Choose any kind of mermaid type bling you like. 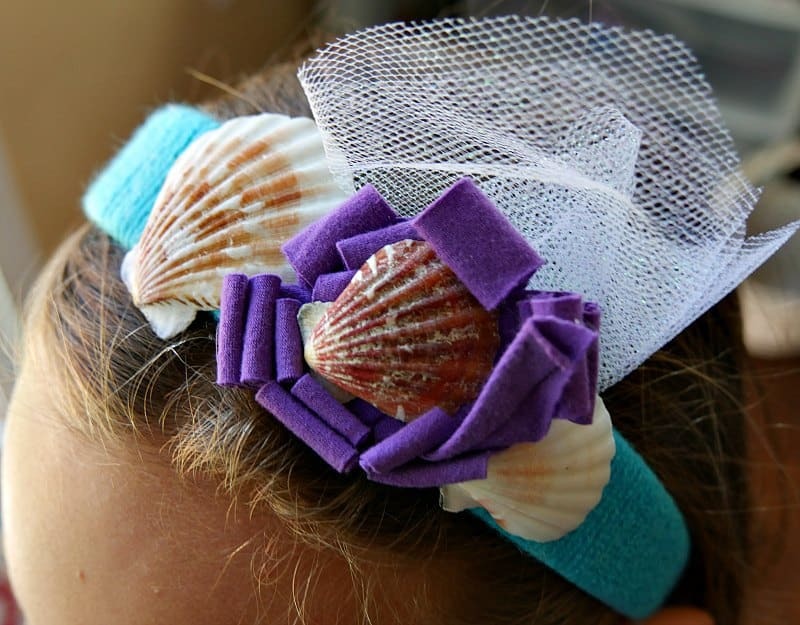 I went with a purple bow, seashells and some tulle to act as netting. Just glue them on anyway you like. The shell in the middle of the bow was my daughter's idea. The bag of shells had different sizes in it so just we just played around until we found a set we liked. You can use the leftover shells to make a fun Seashell Memory Game for Kids. 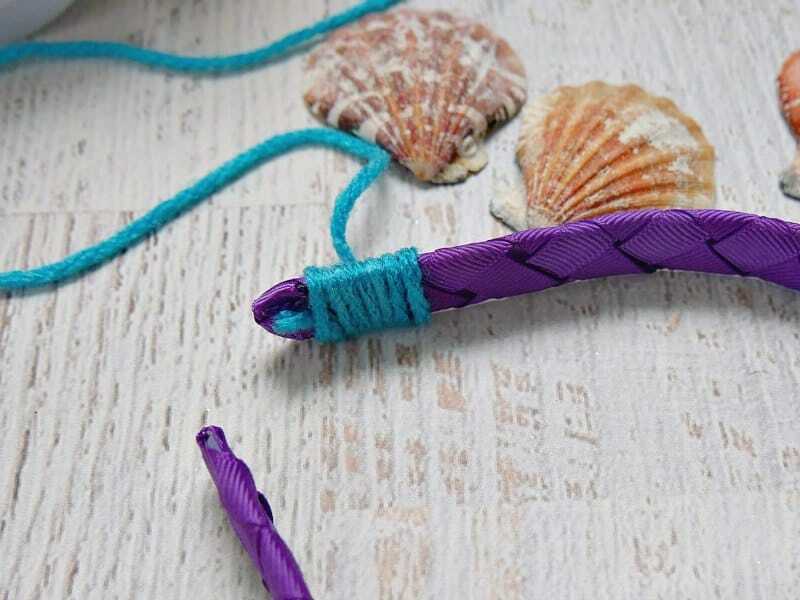 This DIY Mermaid yarn wrapped headband is a great project for kids to make themselves, with some help with the hot glue. And it'll keep your mermaid happy all summer long. Thanks for sharing on Bloggers Spotlight!